One of the benefits of being in town for Art Basel is catching up with pals from years past. 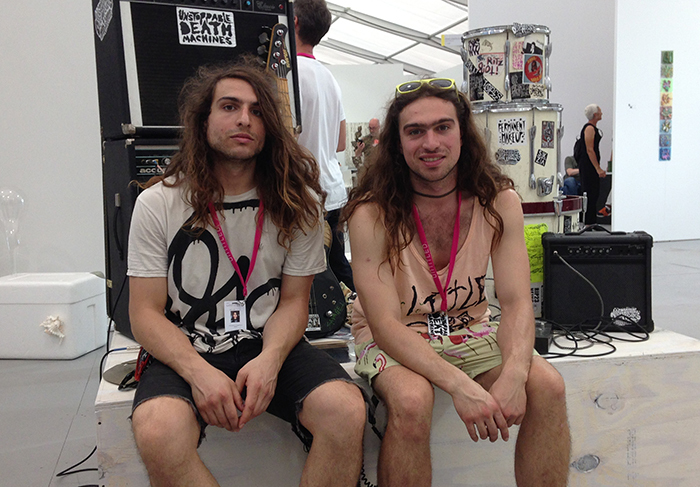 This year I spotted homies Mike and Billy of Unstoppable Death Machines, babysitting their piece at Untitled Art Fair. We met in the wake of them selling their installation, which includes a concert at the patron’s home, to be enjoyed by an audience via cordless headphones. 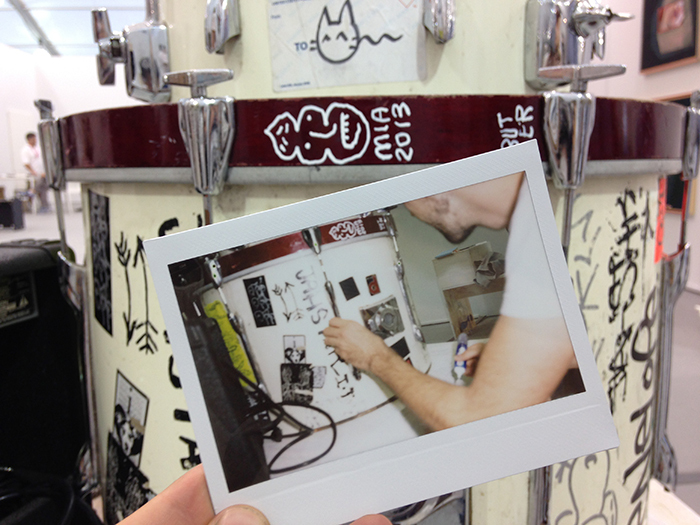 Before their pile of gear with embedded video monitors (with looping music videos) could be hauled off, I was invited to sneak a doodle onto the drum kit. We synced again that night at Purdy Lounge for Chocolate Sundays, where UDM flipped the usual hip hop crowd on it’s head, and raged in the back room. 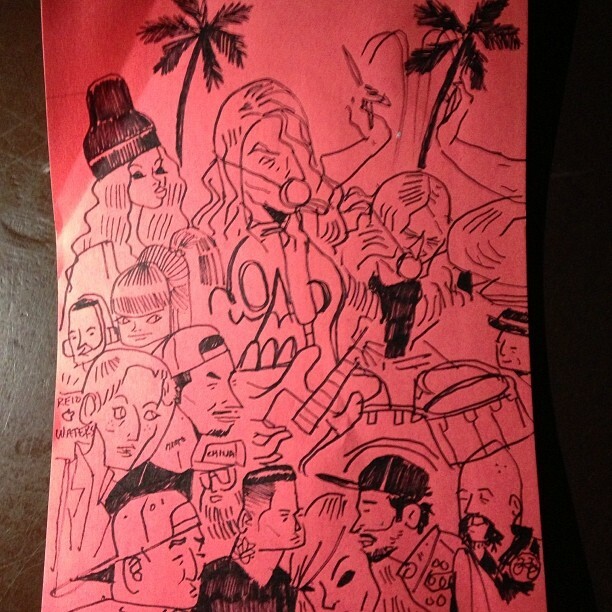 Here’s the concert doodle below.